Every month, the performers from Changing Jennifers come together to improvise, for you, an hour-long story that is sure to amaze, thrill, and titilate your entire body. 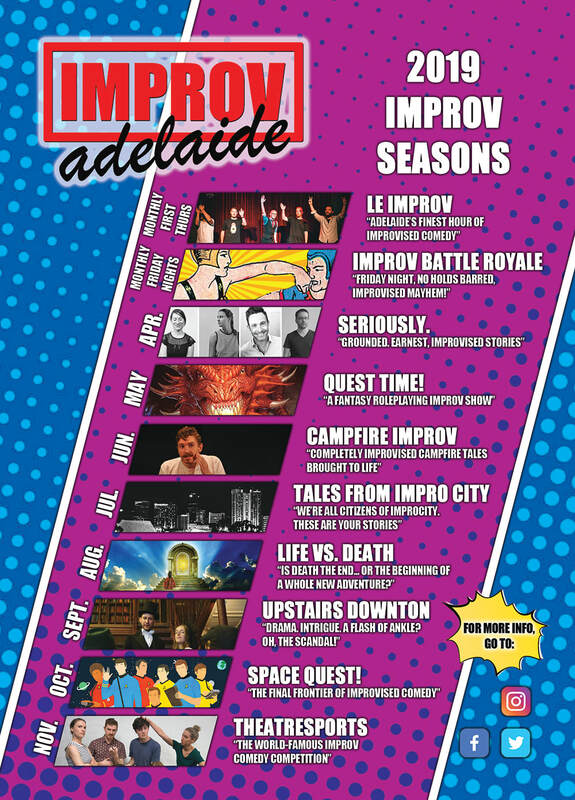 After hugely successful seasons in Adelaide, Melbourne, and Edinburgh, Changing Jennifers' LE IMPROV is your opportunity to see improv at its purest and funniest. Come and enjoy delicious cocktails, a beautiful environment, and hilarious improv, courtesy of Changing Jennifers! Featuring Sam Calleja, Sam Griffin, Dan Hamilton, Will Mellor, and Eden Trebilco.